This set of 10 upcycled gift tags comes from the adorable Serendipity Book, Kartusch, with its sweet fuzzy little monsters. I love old books and ephemera and have always felt sad when I have had to toss a beautiful book because my kids decided to color on half the pages or they just simply become tattered. So in my true hoarder style I found a way to use the remaining beautiful images. 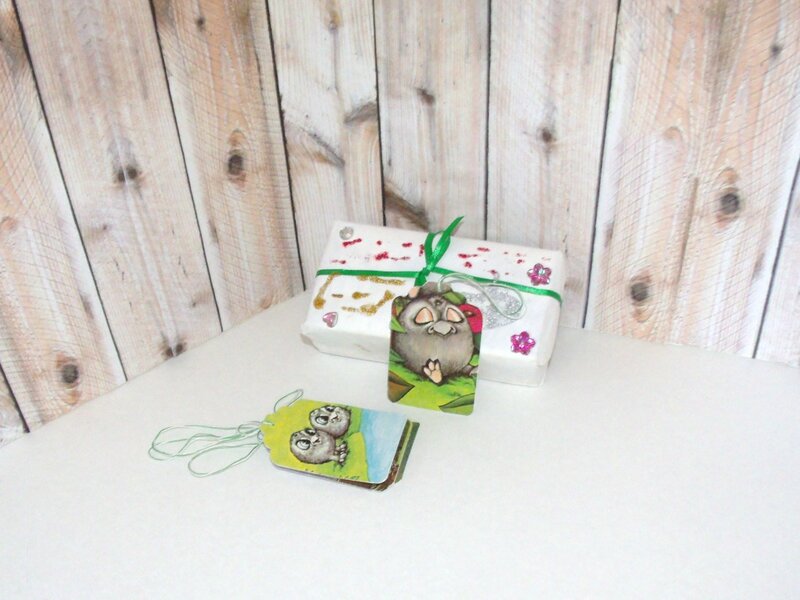 2 set combined to offer you 10 wonderful gift tags, Each are 2 11/16" by 1 3/4" Wide. Magnet from Old Fashioned Postcard Black Silhouette of Couple "Stingy! Stingy!"